While the rest of us normal people have to wait a few more days before we can finally see Batman v Superman: Dawn of Justice, the film has had its world premiere Sunday night, which means that the stars are ready to start talking about what comes next. While the new movie introduces a number of different DC comics characters ahead of next year’s Justice League: Part One, there’s one in particular that Henry Cavill is excited to work with. Speaking with USA Today at the Radio City Music Hall premiere of Batman v Superman: Dawn of Justice, Henry Cavill says the person he’s most interested in having Superman work with on screen is the lord of the seven seas, Aquaman. I’m looking forward to expanding on the DC Cinematic Universe and finally getting a chance to open up that world. There’s a thousand and one rich stories in there and I’m looking forward to interacting with Aquaman, especially. Apparently, the opening up of the DC Cinematic Universe with Batman and Wonder Woman wasn’t quite enough for Henry Cavill. We know that three other heroes, the Flash, Aquaman, and Cyborg all make cameo appearances in Batman v Superman: Dawn of Justice in order to help setup the upcoming Justice League movie. 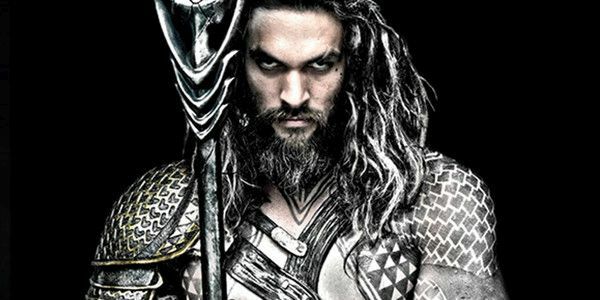 Cavill doesn’t go into why he’s most interested in working with Aquaman. We’re getting the distinct impression that Aquaman will be a major part of Justice League: Part One as it will also be the film that introduces the character of Mera, Aquaman’s eventual queen, who will be played by Amber Heard. It could be this fact that makes Aquaman appealing. It could also simply be that Henry Cavill is a big Game of Thrones fan, and he really wants to hang out and trade lines with Jason Momoa. Jason Momoa has talked about how the thing he’s most interested in exploring with Aquaman is the character’s duality, the idea that he’s half human and half god, with powers he doesn’t fully understand. As those were also major aspects of Man of Steel, the movie that introduced the DCU version of Superman, it could be that the two characters will be able to relate to each other when they get a chance to get to know one another.